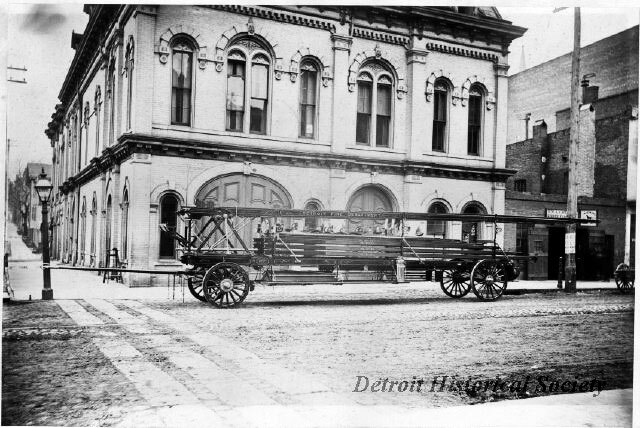 Description: The new 1883 Hayes-LaFrance 86’ aerial truck of ’Rescue’ Hook & Ladder Co. No. 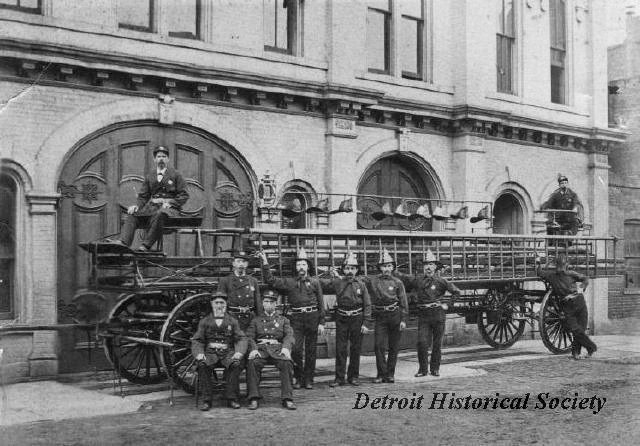 1 in front of original fire headquarters. The large aerial ladder was raised by cranking the long worm gear attached to the turntable. The rear steersman (tiller) was seated at the rear over the wheels and under the main ladder. Pictured in front of Engine 1-1, Wayne and Larned. Description: Circa 1870s. 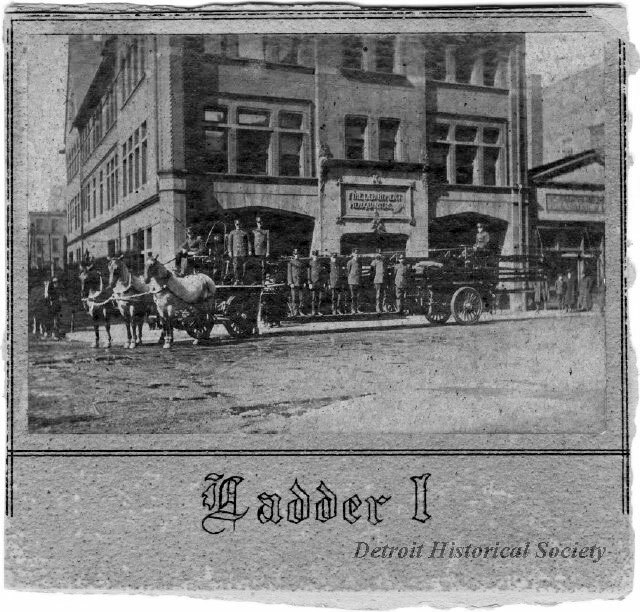 Hook and Ladder 1 in front of E1-1, Wayne and Larned. Description: Circa 1906. Ladder 1 in front of Engine 1-2.